Now THIS is one interesting motorcycle. 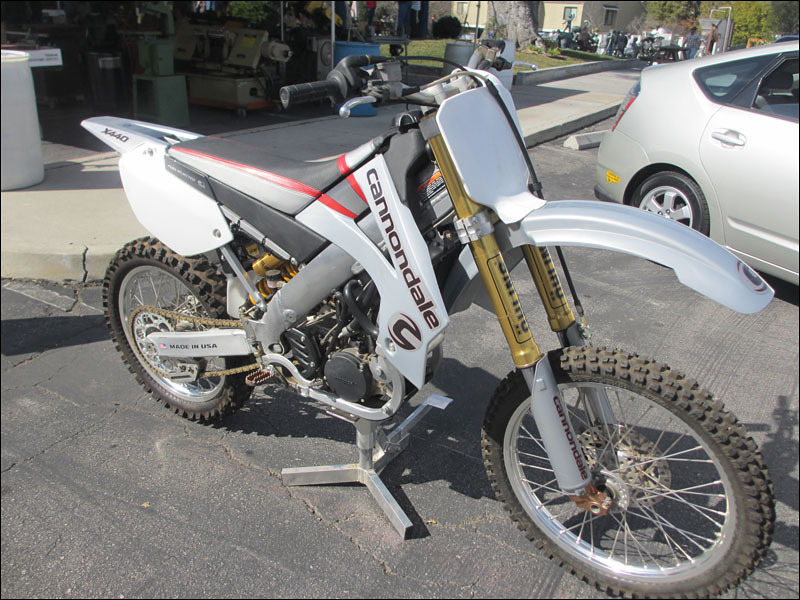 I've seen pictures in motorcycle magazines and descriptions of this Cannondale motocross bike such as: "way ahead of it's time" and "bike from the future". It sure is. Just for fun I'll be throwing together some information and pictures of the X440 I've collected. 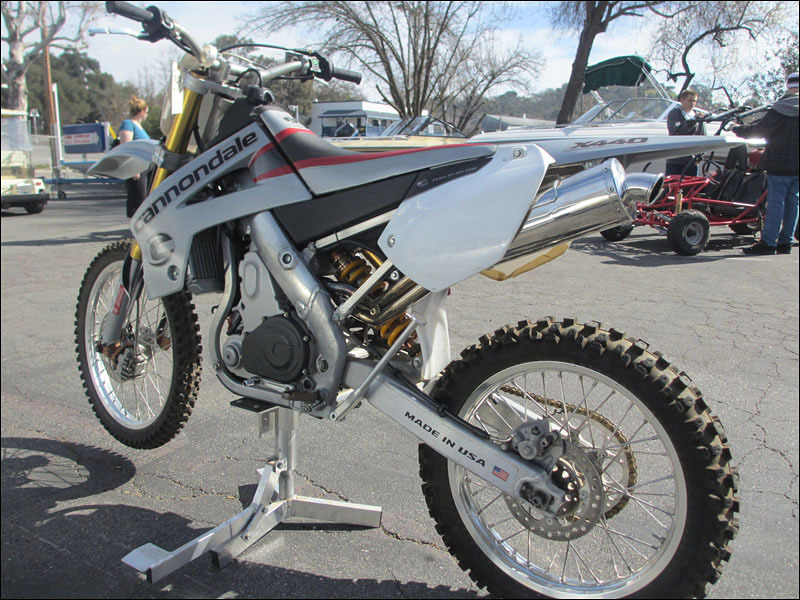 This particular bike came up for auction today at a local auction house and it sold for some pretty good money to someone that seemed like he actually bought it to ride it. A limited production bike in such new condition such as this example deserves to be put on display or at least stored for another 10 years until it does become a collectors item. Last edited by Smithers; 02-18-2013 at 06:51 PM.